Traveling with kids can be daunting, especially if you fail to keep them entertained. Thankfully, there are thousands of castles in Europe. Seems like everywhere we go there is a castle to explore. The kids are fascinated with castles (think…dungeons, dragons, swords). We have explored our fair share of castles and I thought I would highlight a few of our favorites. We have visited here a few times, as the kids like to call it their castle. Neuenswander is a family name, so the kids feel they have a claim to it….. wouldn’t that be nice. The castle is in Bavaria, Germany. Since it is famous, I recommend buying your tickets online. We have waited hours in peak season for a tour. A tour is included with the purchase of a ticket . You have the option to tour both castles. The other, smaller castle, was King Ludwig II fathers’ castle. If you want to get an idea of the time period furniture and decor, I recommend also touring the Hohenschwangau Castle. Once you buy your ticket you have to walk up to the castle. The walk is beautiful in the summer but freezing in the winter. 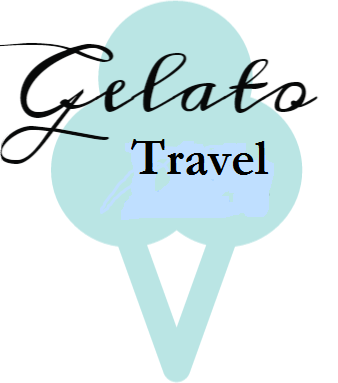 I recommend, especially with kids, taking the bus or hiring a carriage to the top. The horse drawn carriage was a favorite for our kids. 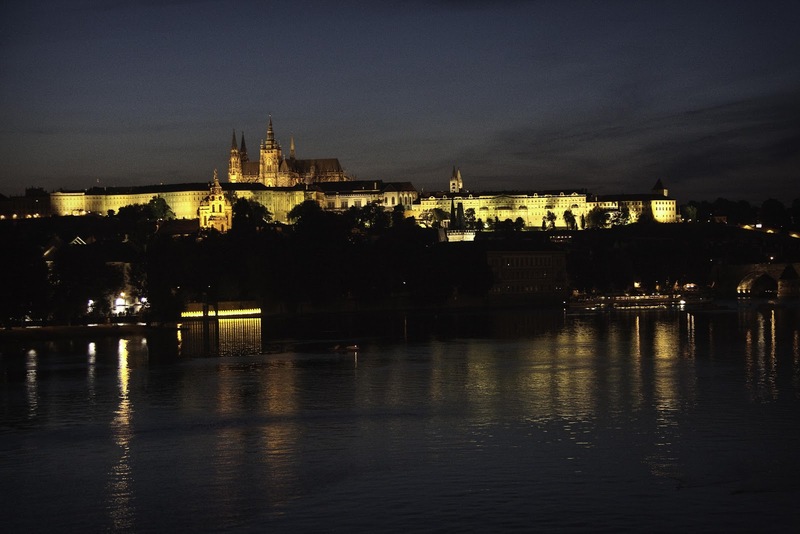 The Prague castle is noted to be the biggest castle in the world. To me, it seemed like a little city in itself. There are many churches and palaces all built within the walls. There are different types of tickets you can purchase to tour the castle. Decide which works best for you. A “long visit ticket” may prove too long for little kids. * A note to the reader, the castle may appear closer than it really is. You may find that your mid afternoon stroll turns into a walk filled with tears and ice cream bribes. It’s recommended, by me, a fellow “let’s walk – it looks close” person, to just take the tram. The grounds of the Sanssouci Palace reminded me of the Palace of Versailles, seemingly going on forever. 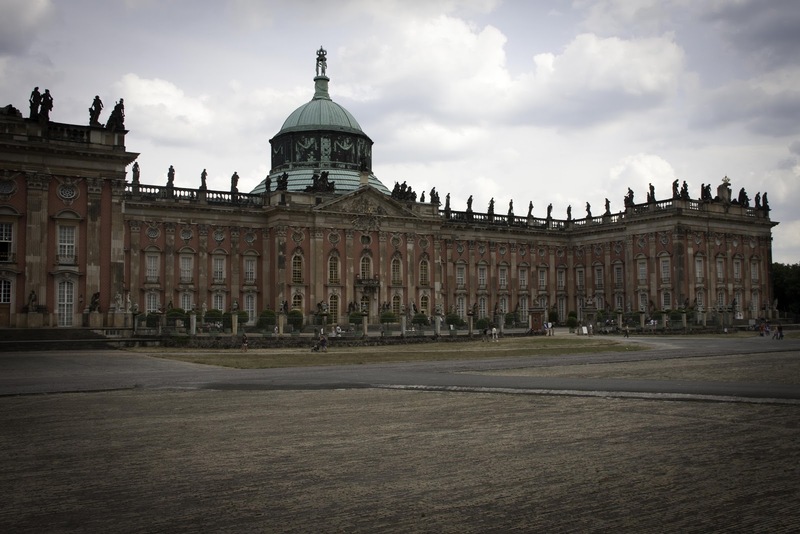 Potsdam is just outside Berlin and home to many summer Palaces. The above picture does not do justice. The grounds are immaculate with multiple Palaces scattered throughout. You can buy tickets for a guided tour upon arrival. The area is crawling with tourists during the summer, but we found the lines were manageable. If find yourself in Berlin and need a break from the city touring, I can highly recommend taking a break in Potsdam. 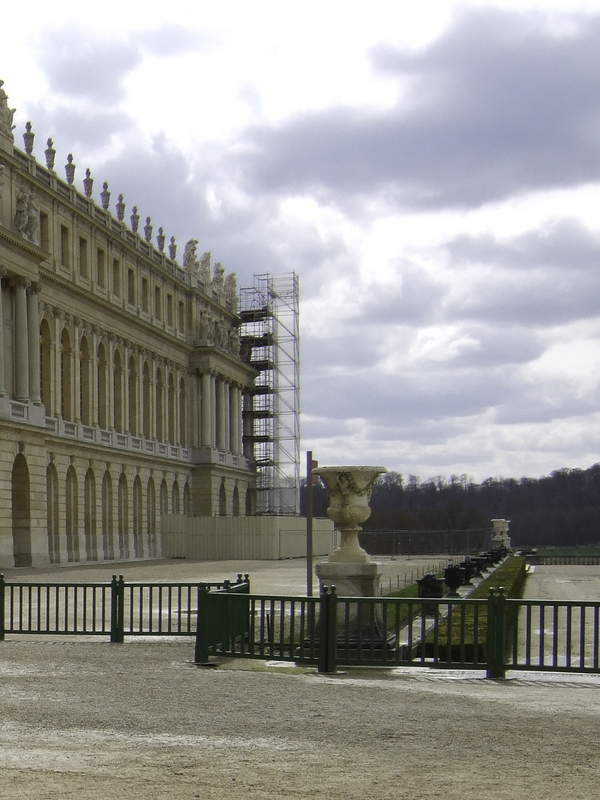 It’s only fair if I make a comparison to the Palace of Versailles, I also review it. Home to Louise XIV The Palace of Versailles is fascinating. For our kids it was also a great history lesson regarding the French Revolution. The grounds are just as amazing as the inside. 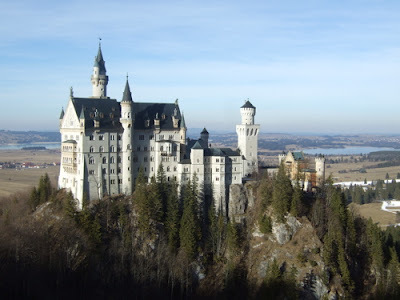 I found this castle to be so ornate in detail, unlike the inside of the Neuschwanstein castle. Buying your ticket ahead is highly recommended. This is a definite must see while in Paris. 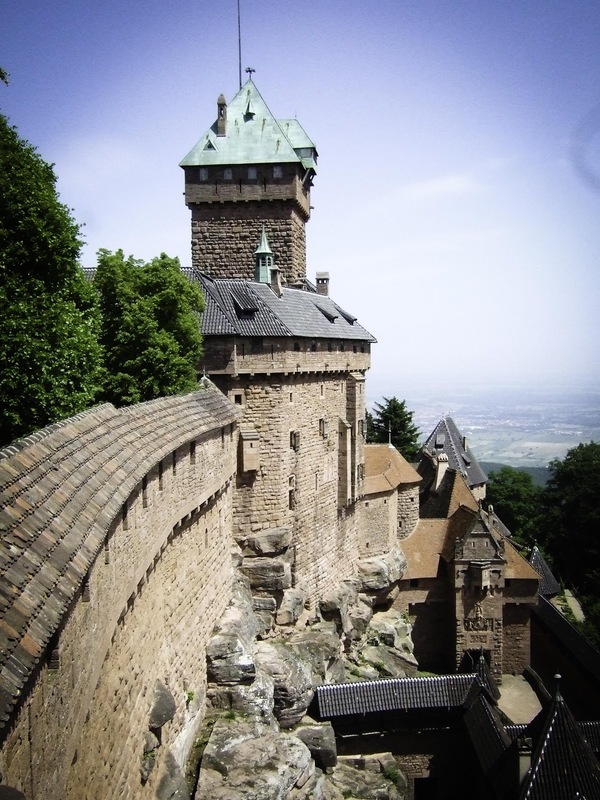 Overlooking the Alsace valley of France, this Chateau has a breathtaking view. The few time we have visited, spring and summer season, we have had no problems with the lines. 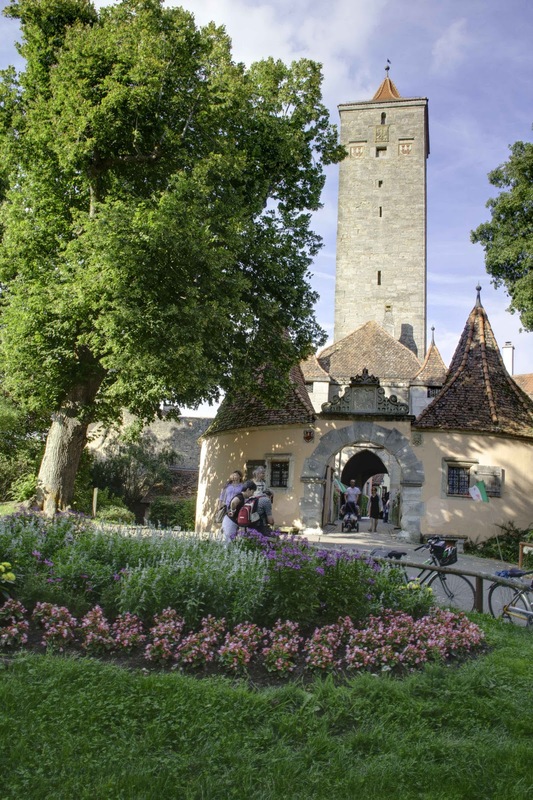 You can purchase your tickets upon arrival and go on a self guided tour.The castle has some impressive furniture inside its apartments. Our kids were kept entertained with the drawbridges and cannons along the tour. This little city is, by far, the most darling medieval town we have visited. The town is completely surrounded by a wall. A walk around the city wall is a must. Guided walks through the town are offered to fill you in on the history. I’d recommend the night tour with a medieval guide carrying a torch to light your way. You can visit the tourist center inside the wall to purchase your tickets. The town is also famous for the shop Wohlfahrt, another must see. 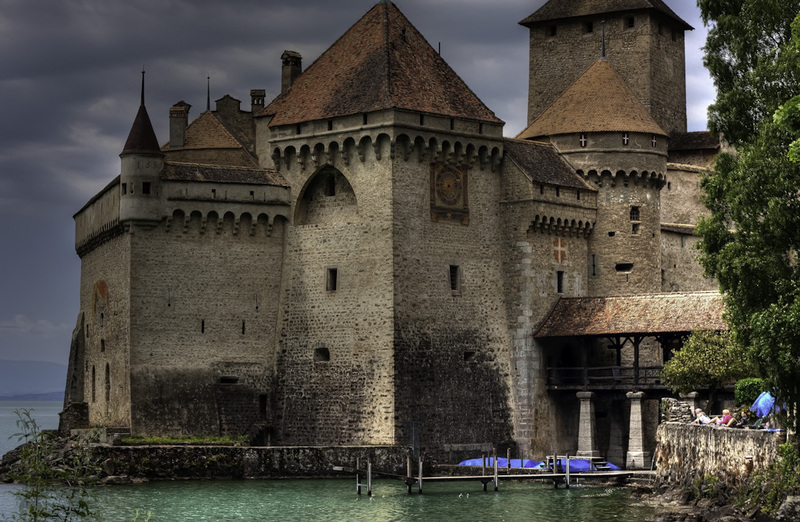 This Castle sits on Lake Leman, in the French speaking part of Switzerland. You might ask- what’s so cool about his castle? You can hire out the castle for birthday parties (weddings too). How cool is that? Besides being able to party in the castle, you can also tour it. You can purchase a guided tour and get an in depth history lesson. Our boys asked for years to visit Carcassonne. 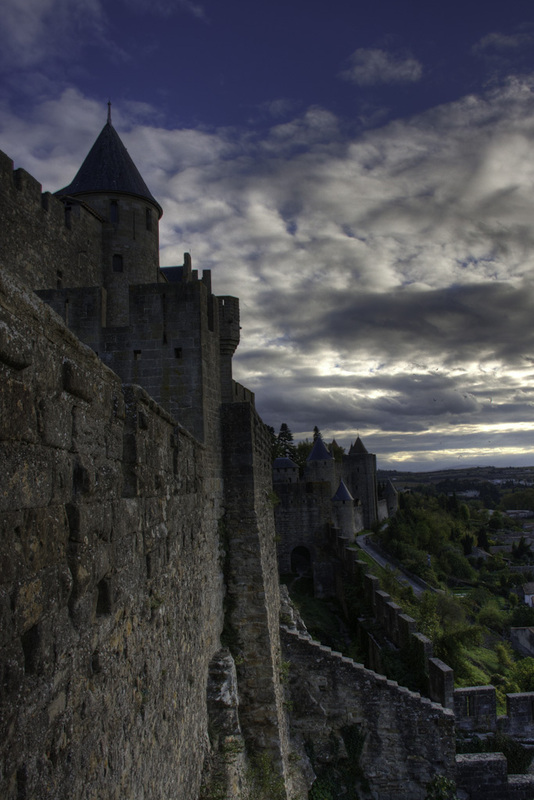 The only knowledge they had of this city was from a beloved family game we play, Carcassonne. So, when we informed them we would take a road trip there, they were ecstatic. The fortified city has it’s own drawbridge and 53 towers to watch out for the enemy (in the past, of course). I could best describe the city as imagination-gone-wild for the kids. No tickets are needed. It’s free to explore the grounds. You can walk through the walled city anytime but many of the restaurants and shops are closed in the off season (winter months). And in the spirit of walled cities I figured this city needed to be mentioned. The city itself, perched up on a hill, is a site to see. No cars are allowed in the city, you must park before crossing the bridge. There are a few spots of metered parking close to the bridge. 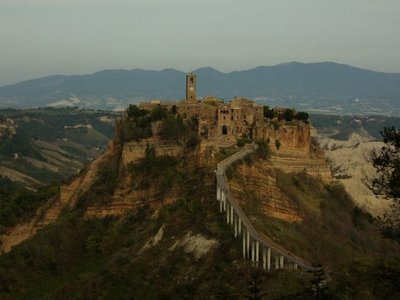 From there you can walk across the bridge to the beautiful town of Civita di Bagnoregio. No tickets are required to tour. The town is pretty secluded but it’s a great little town to explore. Not to mention, a breathtaking picture.